We are very honest with our customers. We offer no run-arounds. 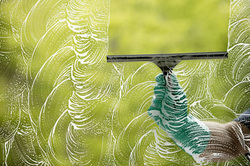 Many window cleaning companies will add fees after they've already started their window cleaning service. We lay it all out before the job even begins. Call Pearl Window Cleaning today and ask about our $10 per window cleaning special (call 901-257-9738) or to get a written window cleaning estimate click here. Also, we do not change our prices just because you happen to live or run a business in a wealthy neighborhood. Our prices follow a standard per window rate. Hence, rates are the same no matter where you live. We invite you to do the math yourself or call us to receive a quick quote!